If you want to improve your gut health, cholesterol levels, body weight, and bowel frequency, then consuming enough fiber will benefit you. Did you know that eating a high fibre diet helps lower the risk of heart disease, obesity, and diabetes type 2 as well as preventing hemorrhoids and may also reduce the risk of bowel cancer? The problem? Most people don’t get enough of it. While the Institute of Medicine recommends a daily fiber intake of 25 grams for women and 38 grams for men, the average American only gets about 15 grams a day (1). On the ketogenic diet, many people are concerned about not getting enough fiber. The reason is that we don’t consume grains – the common food group that is the primary contributor to fiber intake worldwide. So the question becomes, how do you get enough fiber on a keto diet? What are the high fiber keto foods, supplements and sources that we can rely on? Fortunately, it’s easy to get enough fiber – and thereby reap all the benefits associated with it – by taking a fiber supplement and eating low carb fiber rich foods. But which product is best for your personal situation? That’s what you’ll discover in this unbiased, evidence-based review. So, keep reading! ​In a rush? Jump straight to our recommendation list ​here! Dietary fiber is the indigestible carbohydrate found in food. Specifically, fiber that originates from the cell wands of plants, where it functions as a skeleton to help maintain shape and structure. S​​​​oluble fiber, as the name suggests, is soluble in water. It forms a gel-like substance and swells when it mixes with water.Soluble fiber is present in high amounts in oats and oatmeal, barley, legumes (beans, lentils, peas), and fruit and vegetables (apples, oranges, and carrots). Insoluble fiber, on the other hand, does not dissolve in water and is not absorbed. When consumed, it passes through the digestive system mostly intact. Insoluble fiber is present in high amounts in the layers of wheat bran, most beans, lentils, whole grains, vegetables, and flaxseed. While humans can’t digest dietary fiber, our gut bacteria – of which we have around 100 trillion living in our intestine – can. In fact, feeding the ‘good’ bacteria is the primary function of fiber.Having well-balanced gut flora benefits your health in many ways, such as helping with obtaining and maintaining healthy body weight, decreasing risk of disease, and supporting brain function. Soluble fiber binds to water in your intestine, which can slow the absorption rate of food and increase the feeling of fullness. This tends to pair with a decreased caloric intake, which is why consuming more dietary fiber can cause weight loss, as shown by a review study published in the journal a review study published in the journal Nutrition (2). As already mentioned, dietary fiber can slow the absorption of nutrients. For this reason, consuming dietary fiber together with a meal can reduce spikes in blood sugar levels. ​If you suffer from constipation, meaning that you have fewer than three bowel movements a week – or dry, small, and hard bowel movements that are difficult or painful to pass, then increasing your fiber intake might help, as shown by a review study published in the journal Alimentary Pharmacology and Therapeutics. The researchers found that increasing fiber intake in adults with chronic idiopathic constipation decreased symptoms among 77% of the subjects (3). A meta-analysis of 76 controlled studies published in The American Journal of Clinical Nutrition found that two to ten grams of soluble fiber daily leads to a small reduction in LDL and total cholesterol (4). First of all, dietary fiber is commonly found in high amounts in wheat bran, legumes (beans, lentils), whole grains (oats, brown rice), fruits (apples, oranges), vegetables (carrots, broccoli, Brussels sprouts), and flaxseed. The problem? Most of the high-fiber foods are not keto-friendly foods. Vegetables are an exception, but the amount of fiber found in vegetables is relatively low compared to bran, whole grains, beans, and lentils. That’s why following the ketogenic diet may cause you to not get enough fiber (again, 25 grams daily for women and 38 grams for men). And while the ketogenic diet is linked to a myriad of health benefits, not getting enough fiber can hamper your health, well-being, and body shape. The solution? Take a keto-friendly fiber supplement. It’s an easy way to get your daily fiber intake. Just consume it alongside your meal, in the right dosage, and you're good to go. Besides the fibers you get from eating low carb leafy greens and vegetables, here is a very high fiber low carb food list you can use. What follows are the three best keto-friendly fiber supplements to date. Each fiber comes from a different source, which gives each product unique benefits. We’ve selected this unbiased list by carefully evaluating every option on the market. So, if you’re looking for an excellent keto-friendly fiber supplement, then you can’t go wrong with these three. Side note: If you’re wondering whether fiber supplements are keto-friendly, the answer is yes. Even though fiber is a type of carb, we can’t digest it. As a result, we can’t use fiber for energy, it doesn’t negatively influence blood sugar, and it doesn’t hamper ketosis. Psyllium is a form of soluble fiber derived from the husk of the Plantago ovata plant's seeds. It functions as a bulk-forming and gentle laxative, which makes bowel movements much easier. That's why this fiber form is an excellent option for those who suffer from constipation. Psyllium husk also benefits gut flora. And because this fiber soaks up water in your gut, it also increases satiety and can thereby aid weight loss. 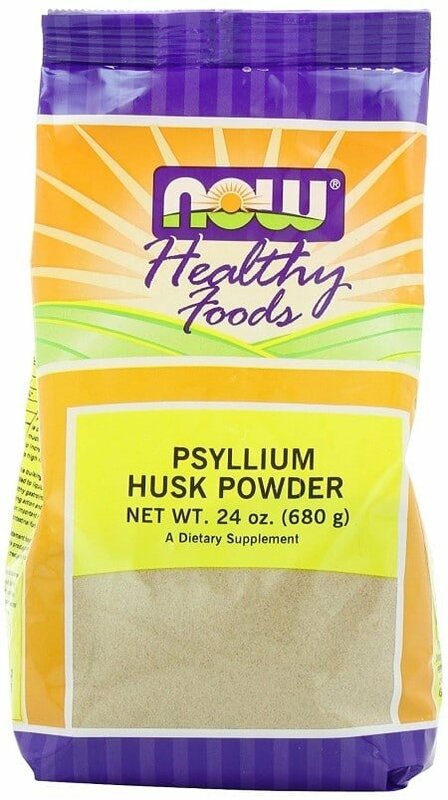 NOW provides an excellent psyllium husk powder at an affordable price. Their products are tested monthly on purity and quality, by skilled technicians at their in-house state-of-the-art testing laboratory. Consume one tablespoon (9 grams) of NOW Psyllium Husk Powder once a day with a meal, alongside some form of liquid, such as one cup (250 milliliters) of water. Psyllium Husk Powder is also used in many keto baking recipes, such as Low Carb Buns and Keto Bread. If you don't want to use the powder form and you want a convenient way to take more Psyllium Husk fiber into your diet, you can try the NOW Psyllium Husk Capsules. Flaxseed (Linum usitatissimum), is a food and fiber crop that's been gaining a lot of popularity lately due to its high content of fiber, omega-3 fatty acids, and other beneficial nutrients. Each 100 grams of flaxseed delivers roughly 27 grams of fiber while providing just 1.5 grams of digestible carbs. This makes flaxseed an excellent option to get enough fiber on the ketogenic diet. 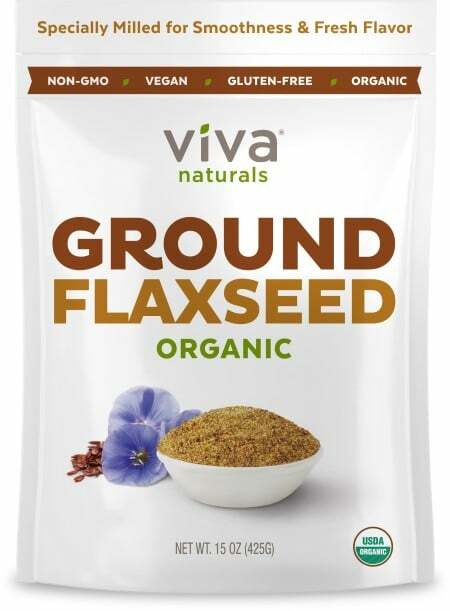 While there are many flaxseed products on the market, Viva Naturals sets itself apart in various ways. First off, their product is 100% organic, which means it contains fewer pesticides but more beneficial nutrients, such as antioxidants. Viva Naturals uses a unique sifting system that reduces the number of whole or broken seeds. This has two amazing benefits. One is that it leads to a fine, super-soft, and light mill that easily mixes with your food, including smoothies and juices. Besides, this process exposes lignans and valuable nutrients that are trapped within the whole seed, thereby increasing the amount of beneficial nutrients your body can uptake. Flaxseed acts estrogenically, so relying on it as your main and only fiber source isn’t recommended. Add two to three tablespoons (28 to 42 grams) of ground flaxseed to your favorite food or drinks daily. Acacia fiber, also known as acacia gum and gum Arabic, is a soluble fiber derived from the sap of the Acacia Senegal tree, which grows all over Africa and in parts of India. 100 grams of acacia fiber contains around 90 grams of fiber. Acacia fiber is linked to many health benefits. For example, research published in American Journal of Cardiology found that 15 grams of acacia fiber daily, in liquid form, helped with managing plasma cholesterol concentrations in blood (5). Acacia fiber also seems to be effective in aiding weight loss. Research published in Nutrition Journal found that consuming 30 grams of acacia fiber powder for six weeks led to a lowered body weight and an average body fat reduction of 2% (6). When it comes to acacia fiber products, NOW stands head-and-shoulders above its competitors. 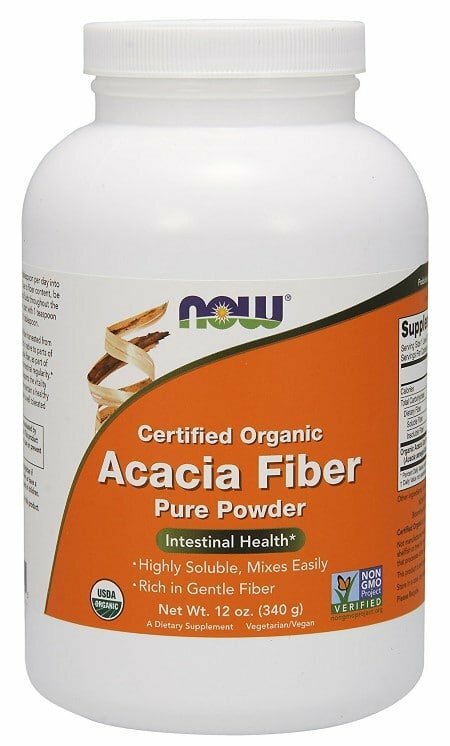 NOW offers an organic, gluten-free, 100% acacia fiber product that mixes well, at a reasonable price. Mix one tablespoon (nine grams) of organic acacia fiber powder into at least 8 ounces (237 milliliters) of water or juice and consume one serving daily. 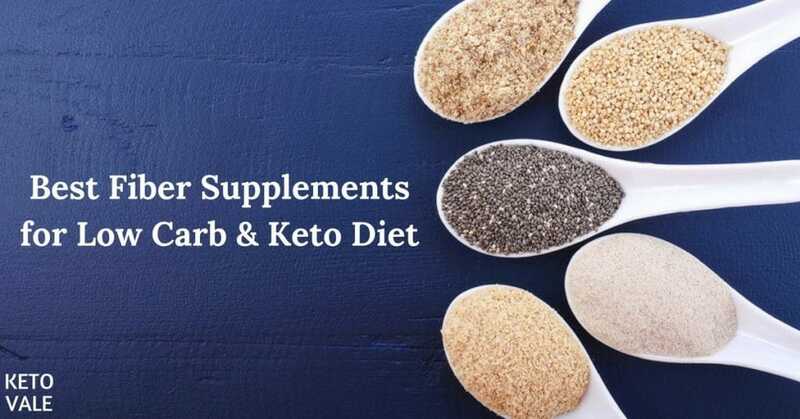 ​So, What’s the Best Fiber Supplement for Keto Dieters? As we’ve seen, getting enough fiber supports your health in many ways. These include improving your gut health, cholesterol levels, body weight, and bowel frequency. Since most people – including those on a ketogenic diet – don’t consume enough fiber, supplementing it is an easy way to enjoy the benefits linked to sufficient fiber intake. So, which product is best for keto dieters? While that’s a tough decision to make because each fiber type has its unique benefits, if we compare the three excellent products outlined above, then we conclude that the psyllium husk powder by NOW deserves the #1 spot. NOW delivers an excellent psyllium husk powder at an affordable price, and they have skilled technicians testing their products monthly, on purity and quality. If you want to upgrade your health and well-being starting today, then we highly recommend you click the link below and start supplementing with the psyllium husk powder by NOW. ​That's it for our fiber pills and powder reviews. Don't forget to ​add one of the top 3 keto-friendly fibers we recommend above​ into your diet. 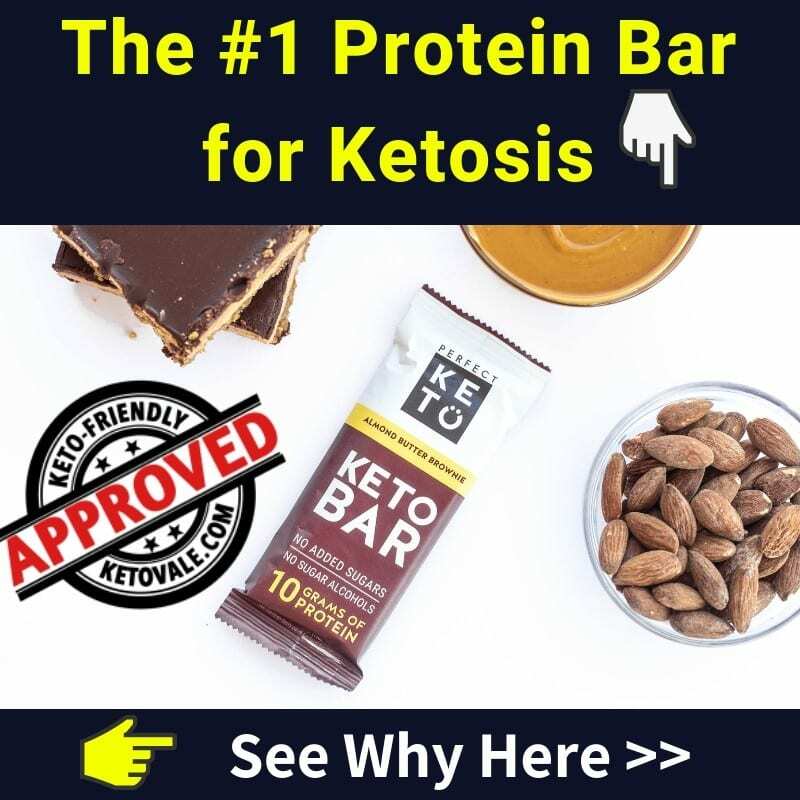 If you are new to keto and looking to get started, be sure to check our keto for beginners guide here and our meal plan here!